A multifaceted architecture studio based in Phoenix, Arizona. The practice was founded by Hayes McNeil in Fall of 2005 with an underlying goal to positively and greatly impact the City of Phoenix at this pivotal moment in its history. This studio's portfolio includes a wide range of both commercial and residential projects, ranging in scope and scale from the single-family home to commercial office space, to large condominium projects. 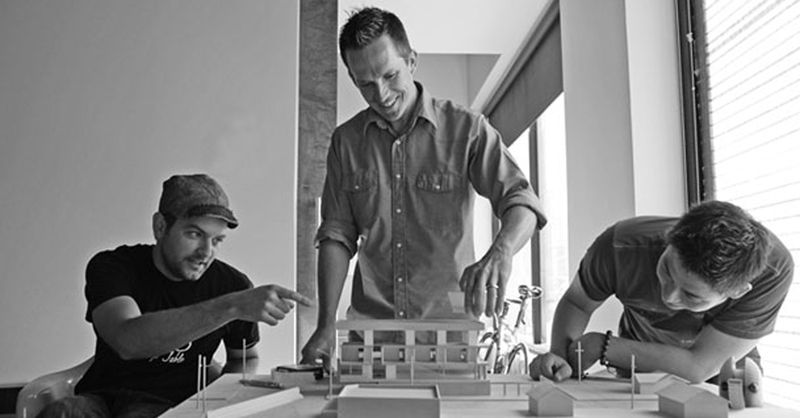 Plus Minus Studio is a multifaceted architecture studio based in Phoenix, Arizona. The practice was founded by Hayes McNeil in Fall of 2005 with an underlying goal to positively and greatly impact the City of Phoenix at this pivotal moment in its history.